Pleased to be recognised at our advisers National Conference of the Institute of Financial Advisers (IFA). The certificate was awarded in recognition and appreciation of Paul Sewell for outstanding service and loyalty to the IFA and the financial services industry. IFA recognises the quiet achievers with this award. The volunteer who has dedicated their time, energy and intellect for the common good over a prolonged period of time, and doing so has earned the respect and gratitude of their peers for their selfless service. He has shown real innovation in raising the profile of the IFA and advisers. 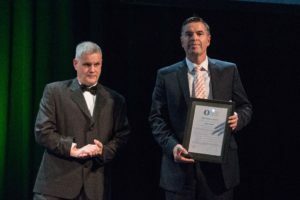 His strong belief in the benefits of personal financial advice has seen Paul Sewell CFP cm work tirelessly with advisers, to raise their profile, encourage their education and promote their services- he is a real champion of our profession.